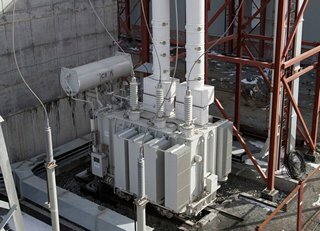 Russia, Sverdlovsk: A new reserve power transformer has been successfully tested at the construction site of a new combined-cycle thermal power plant at the site of Nizhneturinskaya thermal power plant, in the north of the Sverdlovsk region. The tests were conducted over four days in the presence of commissioning experts, showing the transformer equipment is reliable, light and generates low power losses, reports Rus Cable. The transformer has been delivered by SverdlovElektro (SVEL), a Yekaterinburg-based transformer manufacturer. The transformer will be used as a backup power source at the new station, which will increase the reliable operation of individual units and thermal power plant as a whole.